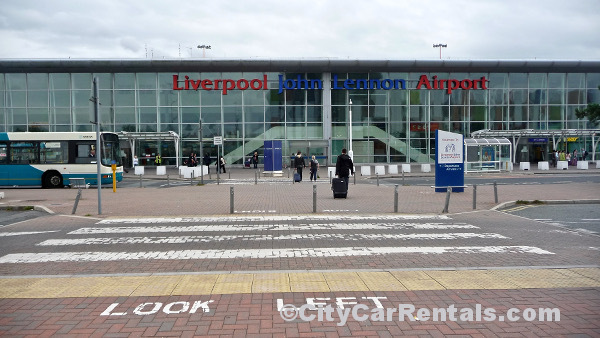 Liverpool Airport Car Hire provides car rental at Liverpool John Lennon Airport and Liverpool city centre from leading rent a car companies such as Hertz, Avis, Alamo, Budget, National , Europcar all offering special prices on car rental in England. 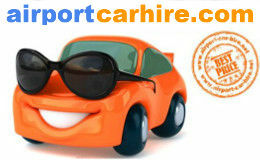 One way car rental available Pick up at Liverpool John Lennon Airport and Drop off at London or any other UK city. 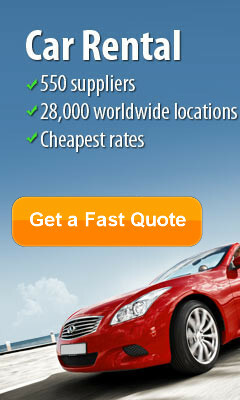 Choose from a small cheap car to top of the range BMW or Mercedes. 7 seat Mini Vans and 12 seat mini buses and 9 seat minibus hire in liverpool Manual or Automatic cars are available. 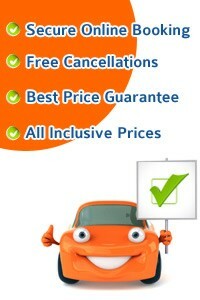 Take this opportunity to get the best car rental deals in Liverpool... CHEAPER. Be in awe with the famous Liver Building; revel in the contemporary art at Tate Liverpool; explore the Merseyside Maritime Museum, unwind at Liverpool ONE - all in one city. Compared to other large cities in the United Kingdom, Liverpool has emerged as an important cultural centre. It offers a perfect blend of music, arts, literature and nightlife. Owing to the popularity of The Beatles, along with other groups during the Merseybeat era, Liverpool is labelled as the “World Capital City of Pop”. and later, contributes to Liverpool's status as a tourist destination. The city’s stunning and fantastic architecture is strongly reflected in the lifestyle of people. With history dating back to 300 years, buildings in Liverpool tell the story of the city’s renaissance as a cultural capital. One of the oldest buildings, The Bluecoat, is situated in the city centre. Built in early 1700s, the building is a strong reflection of Georgian architecture. Situated in an iconic setting, Liverpool Waterfront is a place one must visit. If you are in mood for a beat from The Beatles or just want a riverside stroll, this is the place! River Mersey with an arrayed network of docks allows narrow boats to heath right in the heart of Liverpool. In about 8 miles away from the city centre is Knowsley. Apart from weddings and corporate events, other activities at the grand Knowsley Hall include archery, quad biking and a high ropes course. You can easily reach Knowsley from Liverpool city centre by driving along the M57. Liverpool is also home to Europe’s first Chinatown. The 10,000 member Chinese community in Liverpool have helped to erect a 15-metre tall Imperial Arch and is regarded as one the best spectacular sites in the city. The neighbourhood of Chinatown is filled with a selection of restaurants and supermarkets, Chinese and Asian. With a stretch of 22 miles of coastline, Liverpool is a perfect place to relax and unwind. There are several classic resorts located seaside that accommodate scenic parks, shopping and an exciting nightlife. Splash World Waterpark, Martin Mere, Farmer Ted’s etc are some of the places for family outings. With over 160 famous street shops, fashion brands and independent boutiques, Liverpool ONE is the huge open-air shopping and leisure district located at the heart of the city. Being a major city, Liverpool is well connected to other cities within Engalnd. The M62 motorway connects cities like Bradfore, Leeds and Manchester en route to Hull. The Kingsway and Queensway Tunnels links the city with the Wirral Peninsula. The A41 road, which begins in Birkenhead, connects Liverpool to Cheshire and Shropshire. Heading south, the A562 road connects Widnes and Warrington. Whether you want to spend a day or a weekend getaway you’re your family at this UNESCO World Heritage Site, our hire car services will be a part of your best moments at Liverpool. base2stay Liverpool, 29 Seel Street, City Centre, L1 4AU Liverpool Set in an historical industrial building, base2stay Liverpool offers modern rooms with compact kitchenettes. With free Wi-Fi and HD TVs, the hotel is located in the vibrant RopeWalks district. The spacious rooms are elegantly decorated, and feature ample work space and a large en suite bathroom. Rooms also offer interactive TVs with free music and games, and a mini-kitchen with a microwave, refrigerator and crockery. Just minutes from lively Chinatown, said to be the oldest in Europe, base2stay Liverpool is a 10-minute walk from Liverpool Lime Street Railway Station. Liverpool ONE is 2 minutes away, and The Tate Gallery can be reached in 10 minutes. 39 Paradise Street, City Centre, L1 3ED Liverpool In the heart of the Liverpool ONE development, the luxury Bridgestreet Apartments offer impressive views across Liverpool city centre. The 4-star apartments have stylish interiors and Wi-Fi access. Each Bridgestreet at Liverpool ONE apartment features an open-plan living area with leather sofas and a flat-screen TV/DVD player. The bright bedrooms have floor-to-ceiling windows. Each apartment also has a modern bathroom, full laundry facilities and a housekeeping service. Just a 10-minute walk from Lime Street Station, Bridgestreet at Liverpool ONE is 500 metres from Chavesse Park. Private on-site parking is available, and the Albert Dock is a 10-minute walk away. Chaloner St, Queens Dock, City Centre, L3 4AJ Liverpool Overlooking Liverpool Docks, the Campanile Liverpool is located 300 metres from the Echo Arena and ACC Liverpool. It offers affordable rooms with free Wi-Fi, a restaurant and free parking. The bright and airy rooms at the hotel feature a satellite TV, work desk and tea/coffee-making facilities. They include private bathrooms with a shower and hairdryer. 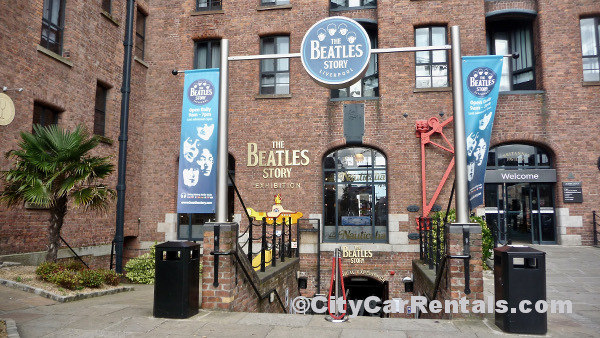 Situated on Queens Dock, the hotel is a 5-minute walk from Albert Dock and the Beatles Story. 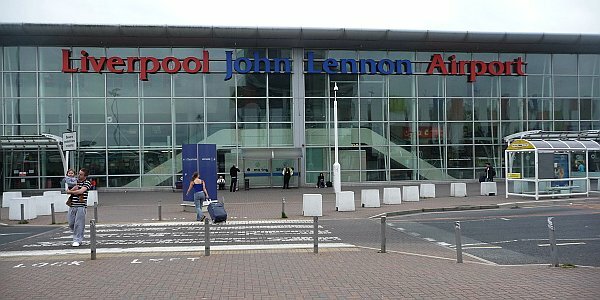 Liverpool Lime Street Station is 1-mile away and John Lennon Airport is a 15-minute drive. Jurys Inn Liverpool, No. 31 Keel Wharf, City Centre, L3 4FN Liverpool Situated in Kings Waterfront, next to the Albert Dock and directly opposite the Echo Arena and ACC Liverpool, Jurys Inn Liverpool is also a 5-minute walk into the city centre. The bright, modern bedrooms at Jurys Inn Liverpool feature crisp white linens, large flat-screen TVs and spacious bathrooms with spa toiletries. There are large work space areas available, as well as tea and coffee facilities. The hotel has a 24-hour reception, Wi-Fi in the lobby and also provides services such as dry cleaning/laundry. Public parking is available close to the hotel. Fee applies. The Britannia Adelphi Hotel, Ranelagh Place, City Centre, L3 5UL Liverpool Less than 500 metres from Liverpool Lime Street Rail Station, the central Britannia Adelphi has a white-marble indoor pool, a gym, free Wi-Fi and en suite rooms. The Britannia Adelphi has a jacuzzi, steam room, sauna and solarium. Spindles Salon offers spa and beauty treatments. Built in 1826, The Britannia Adelphi has original period features, including chandeliers and marble halls. Crowne Plaza Liverpool - John Lennon Airport, Speke Aerodrome, L24 8QD Halewood This 4-star hotel is just 2 miles (3.2 km) from John Lennon Airport. The beautiful Art Deco-style building now houses large, air-conditioned luxury rooms. The hotel was an airport building in the 1930s, and was visited by the Beatles in the 1960s. It now mixes original Art Deco-style with modern luxury. The en suite rooms are light and modern with satellite TV. The Crowne Plaza Liverpool – John Lennon Airport is close to the area's motorways. 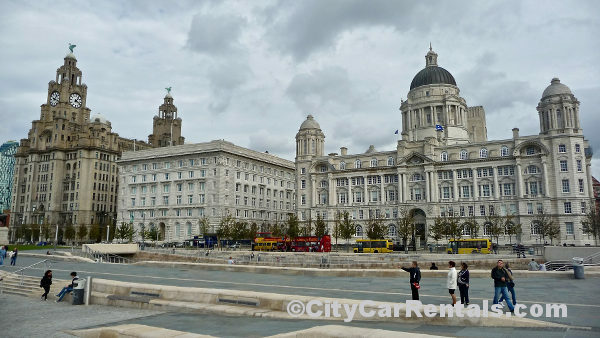 Liverpool city centre and the main business district are 7 miles (11.3 km) away. Liverpool South Parkway Station is a mile from the Crowne Plaza.